Skullz Human Skull Mirror Ornament | BUDK.com - Knives & Swords At The Lowest Prices! 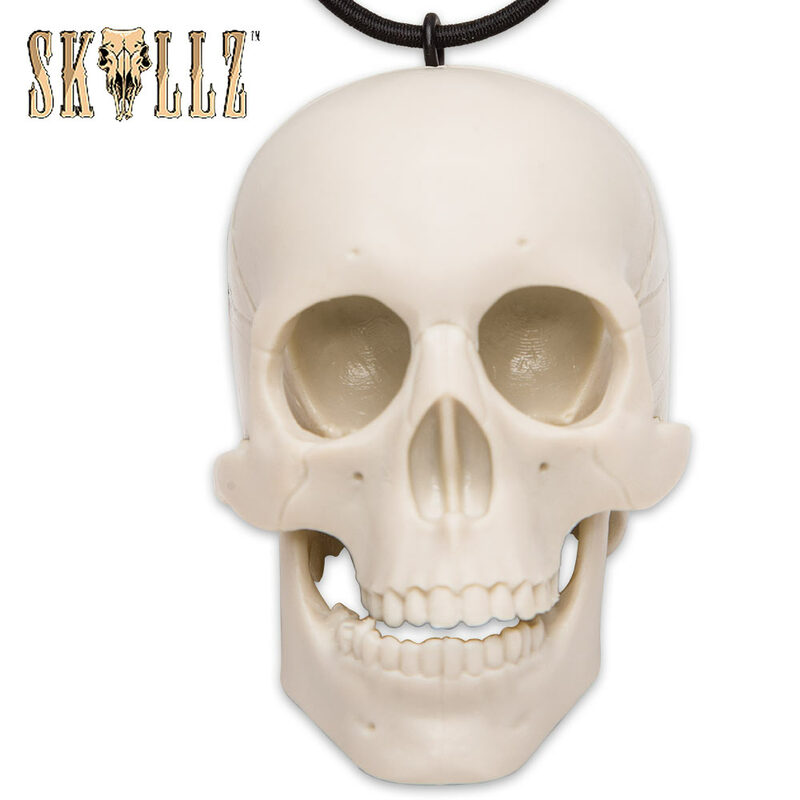 The Skullz Human Skull Mirror Ornament is an impressive rear view mirror hanging ornament. It will definitely be noticed when you hang it in your car, truck, SUV or RV. 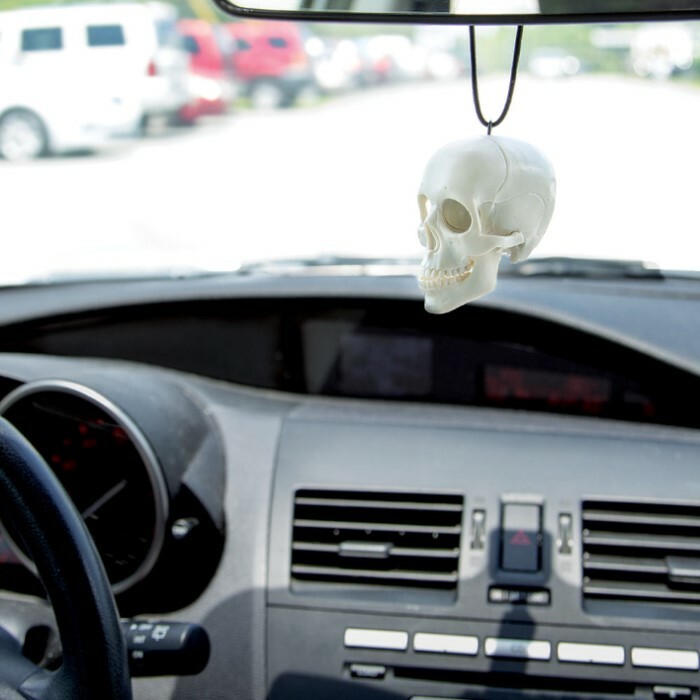 This ornament is a great way to personalize your beloved vehicle. It is made of durable plastic.